Posted on May 10, 2018 by Kobe L.
The word “effort” shows up often and is used quite often as the main point of a success story. There is often much emphasis on efforts and hard work, but our attitude in accepting good efforts needs a bit of change. Instead, we should also focus on the limitations that were faced. Grit is instead good enough and able to surpass this hollow and overused shell of effort. This book took a scientific approach from the beginning to the end. I preferred this approach as it is based on research and experimentation. Furthermore, it can be applied for to most part to many peoples’ lives. It is a great and hopeful message that grit is much more important than talent to ordinary people like you and me. This book clarifies that we can develop and improve grit, and proves that our efforts in doing so are important. This books also opens the discussion about grit and broadens its scope from personal territory to the surrounding environment. If everyone supports and encourages and never gives up and instead chooses to teach others and the next generation about the importance of grit, it will give them a chance to experience its importance in developing more grit in one’s life. The future of society would be brighter. 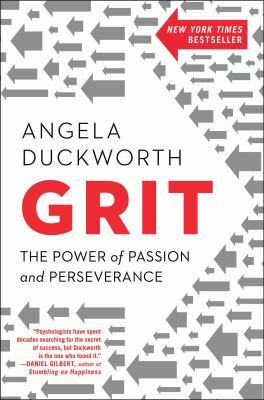 Grit by Angela Duckworth is available for checkout from the Mission Viejo Library. It can also be downloaded for free from Overdrive. Posted on November 3, 2017 by Elina T.
We’ve all heard various accounts of how life was like in the Nazi concentration camps; how millions perished in the gas chambers and how fear pulsed through all of the prisoners’ veins day and night. However, rarely do we hear about how everyday life was like for a prisoner in a concentration camp. Sometimes, it’s the smaller things, the things that seem to be less significant, that are really the most horrible. I’m not at all implying that the gas chambers weren’t horrible, they were unequivocally inhumane, but some of the things that Viktor Frankl describes in this book seem just as bad, and, in some cases, even worse. Viktor Frankl, a Viennese man, was taken captive initially to a concentration camp in Auschwitz. As a liberated victim, and through his knowledge and understanding of human psychiatry, he has been able to give a very accurate and detailed account of his time and experiences as a prisoner. He describes three stages of a prisoners’ mental state: shock, apathy, and coping with depersonalization after liberation (if they were lucky). As he explains each stage in detail, he gives anecdotes, which really helped me to gain a clear understanding of the psychiatry behind it all. What really struck me by surprise as I was reading this book was how utterly unjust it was for those who were held captive in the concentration camps. Of course, I knew prior to reading this that the prisoners were treated unfairly, but I suppose I never fully comprehended the extent to which it went. At the beginning of the book, Frankl recounts the first time he’d entered the camp. He recalls an SS guard standing by the gate who examined each prisoner carefully, deciding whether they’d be capable of the strenuous labor they’d be subject to if they were admitted to the camp. Anyone who appeared weak in any way was immediately sent to the gas chambers. This need to be “fit” plagued the prisoners throughout their time at camp as, at any time, if someone were to sustain an injury or grow ill, they’d be deemed “incapable” and were promptly sent to the chambers. This was but the first of many horrors that Frankl would encounter at the camp. Additionally, Frankl discusses logatherapy, a form of psychiatry, which can loosely be defined as “finding a will to meaning”. He describes it in the context of a concentration camp: along with a lot of luck, the one thing that kept Frankl alive at Auschwitz was his life’s work pertaining to psychiatry. I thought that this book was a very fascinating read. I definitely learned a lot more about how life was like in concentration camps, and the section on logatherapy also intrigued me–some of the concepts he discussed really made me think hard. This is a very powerful and inspiring book–Viktor Frankl is an extremely strong and willful individual. 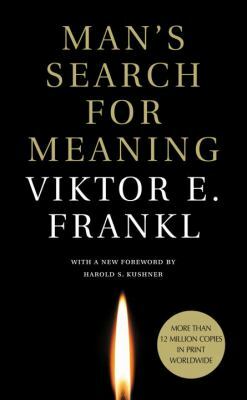 Man’s Search For Meaning by Viktor Frankl is available for checkout from the Mission Viejo Library. Posted on June 7, 2017 by Abby F.
With a plan to hide, paranoia to battle, and friendships to question, a group of five college students deal with the psychological punishment of murdering their sixth member: Bunny Corcoran. The Secret History, by Pulitzer Prize winner Donna Tartt, is deep, fascinating, and full of aesthetic-driven description. Richard Papen, a poor college student from California, transfers to Hampden College in Vermont in order to escape his old life. There, he can’t help but be entranced by a group of mysterious young adults that saunter around the campus disconnected from the rest of the student body. Belonging to the highly exclusive Classics major taught by Julian Morrow, those five students have a divine air about them that Richard can’t resist. Securing his spot in their class, Richard is dragged into much more than a new group of friends: relationships full of hidden truths, a wild secret to keep that he never saw coming, and brewing plot of even more horrible proportion. Join Richard as he learns what friendship with Henry Winter, Francis Abernathy, Bunny Corcoran, and the Macaulay twins really means. From the overlying theme to direct references, Donna Tartt draws heavily from Fyodor Dostoyesky’s Crime and Punishment. Both stories deal with how a seemingly justified murder affects the murderer’s mental state, driving them to extreme paranoia and desperation for relief. Both books open with a murder, Crime and Punishment’s happening about 20% of the way in while The Secret History‘s is described in the prologue. While Crime and Punishment reads chronologically, The Secret History tells the reader about the murder first, then flashes back months before, carrying through the murder and on to what happens after. Having just read Crime and Punishment, the parallels stand out. Reading about a variety of characters’ reactions in The Secret History is far more interesting than that of the sole guilty soul in Crime and Punishment. Donna Tartt’s writing style is beautiful, oftentimes bringing me to pause and reflect. I grew to care so much about her tragic characters, and her writing brought me to be truly shocked or pitiful or furious right when she wanted me to be. I couldn’t predict any of the twists this book offered, which is a sign of a well-written story. This new adult/murder mystery novel was thrilling to read, and it’s a story that will last with me for a long time. Thought-provoking, genius, and beautiful, The Secret History is well worth the read. 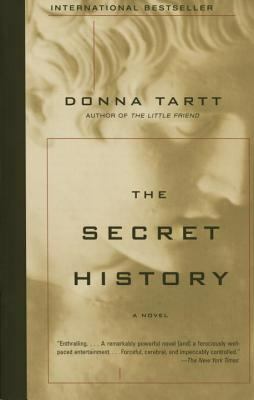 The Secret History by Donna Tartt is available for checkout from the Mission Viejo Library. It can also be downloaded for free from Overdrive and Hoopla. Posted on April 6, 2017 by Matt J. 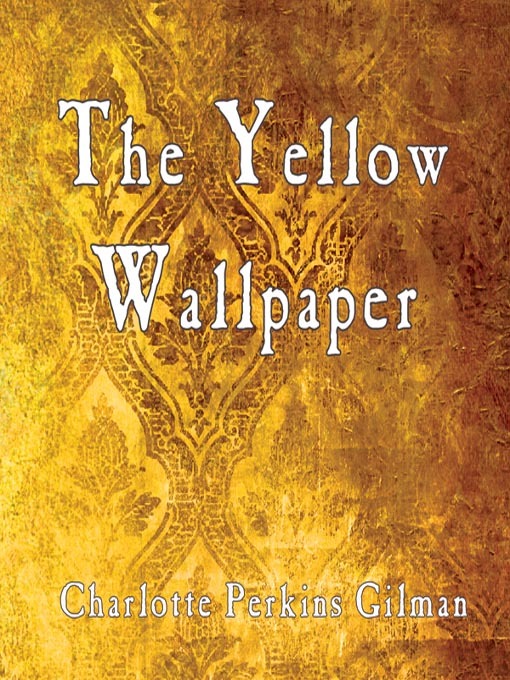 The Yellow Wallpaper is a short fictional story written by Charlotte Perkins Gilman. It was written in the late 1800’s and tells the story of the daily life of an average woman living in the late 1800’s. The main character’s name is not revealed, but is referred to as The Narrator. The narrator is suffering from postpartum depression, which is condition where women are ill or depressed after giving birth and seeks to find help. I really enjoyed this short story as it related to the reality of women being treated poorly and unequally. Back then, men believed that women should just stay put at home and do nothing because they did not want them to stress about working hard shifts like men did. They also believed that women should not be educated because it will make them even more stressed. In The Yellow Wallpaper, the narrator does have a male physician to make her feel better, but the physician only tells her to do nothing at home and did not even bother to give her any medications as physicians would normally do in today’s world. While she is at home, the narrator starts having hallucinations as she sees yellow wallpaper. She stares mysteriously at it and believes that the color carries horrible symbolism. She believes that the yellow wallpaper is intriguing as it gives her something to do in her life rather than sitting and doing nothing all day. This relates to sarcasm and the average woman living in the late 1800’s because it relates to how women had nothing to do everyday and was desperately looking for a hobby that intrigues them; although, staring at a wallpaper would not intrigue anyone. Considering how she is at a state of having hallucinations, she does not notice that she is actually in a house that is meant for the mentally ill as the beds are similar to those of mental hospitals. Also, another example of how she is suffering from hallucinations is that she believes that the physician is actually her husband. Overall, I would recommend reading this story as it was very interesting due to how it influenced thought on the treatment of women and how it should be changed.